The desert is usually hot, dry, sunny, and very dusty. It can get cold at night. Dust storms can remove all visibility, and can affect travel plans and navigation. Strong winds can come at any time. 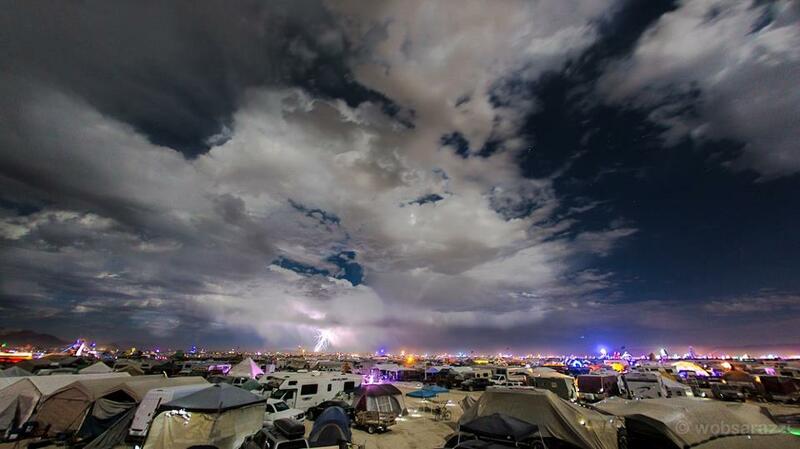 Rain can turn the Playa into mud that cars get stuck in. We hear that trailers have been blowing over, the airport is underwater. If you can’t get a plane and you’re thinking you could take the bus instead, you’re SOL. The Burner Express is no longer selling tickets. 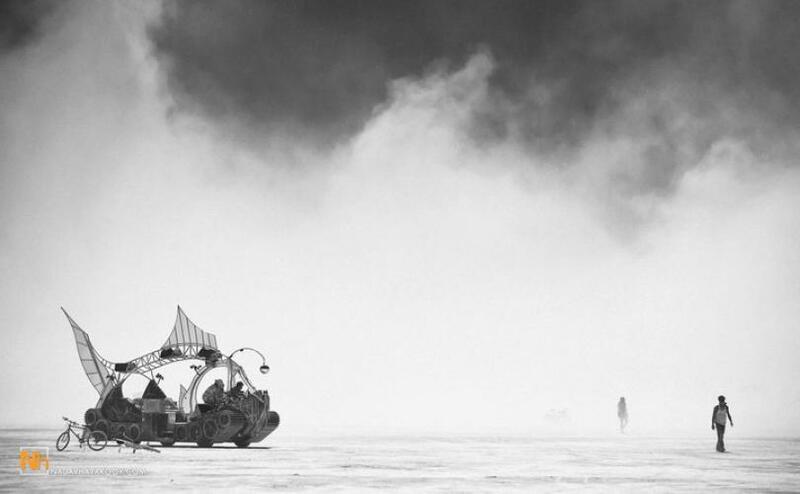 If you were planning to fly in and have to change your plans, try rideshare.burningman.com. Don’t drive your cars, art cars, or bikes. The playa mud sticks and sticks and sticks! Park your vehicle or trailer on a piece of wood (so in case of heavy rain the tires don’t sink) hopefully any rain during the years event will be small and fun! Also check out our tips for bringing a camera from Curious Josh.